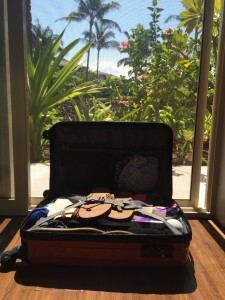 What Makes For Great Carry On Luggage? Whether you are a frequent business traveler or someone who likes to be efficient traveling on the occasional vacation, finding great carry on luggage can go a long way to making your trips as worry-free as possible. While getting the right piece of luggage can be a subjective quest, there are specific criteria that can separate the truly great pieces of luggage from the rest of the pack. You may not agree with someone else on whether a certain bag in question is “stylish,” but there won’t be any arguing about the weight or dimensions of a bag. With our testing, we try to focus mainly on the objective criteria. We will comment on things like how stylish a certain piece of luggage is or how good we think the value is, but ultimately that decision is going to be up to the consumer. With that said, take what we say with a grain of salt and try to focus on as much objective information as you possibly can. There are a lot of subjective and objective criteria on which you can judge carry on luggage. After a lot of lengthy discussion with the team, here are the top things we think make for excellent carry on luggage. You might find a piece of luggage that has everything you could ever ask for at a great price, but if your carry on looks like it came down directly from outer space, you won’t ever want to be seen with it. While this might be the most subjective criteria out there, it is certainly a very important factor. We have seen and tested a lot of luggage. One thing we have noticed is the wide price range from product to product. As a result, if you aren’t careful, you can pay a lot more than you need to. There’s a lot of value to be had out there if you are willing to look for it. The best carry on luggage meets all the major airline carry on criteria. If you fly different carriers, then this is especially important. You don’t want to meet the size criteria of one airline, only to realize on your next flight that your luggage doesn’t quite fit the size of another airline. You want your luggage to meet the size criteria to be able to carry it onto the plane. With that said, ideally you would have a piece of luggage the maximizes the amount of packing space. Some pieces of luggage just aren’t that easy to move around in the airport or wherever you are going with it. If you have a bad set of wheels, it can make for a really annoying experience. Your ideal piece of luggage will be extremely to maneuver. A lot of companies get this really wrong with the construction of their luggage. Some carry on luggage can be really annoying and awkward to roll around. 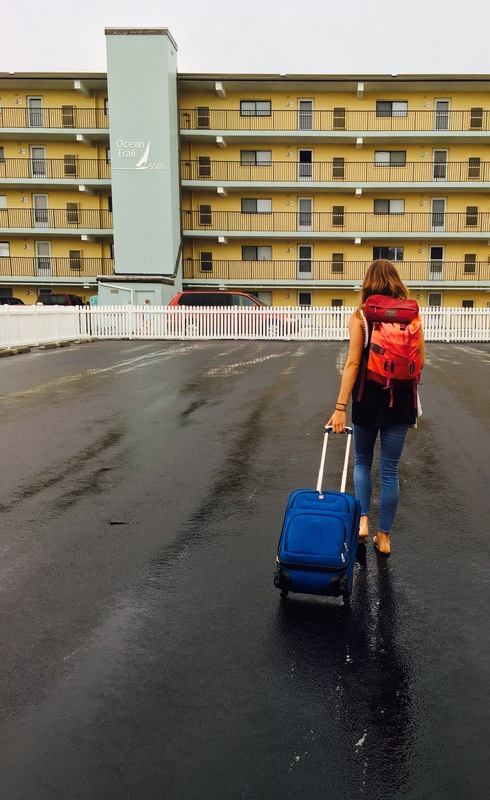 The best luggage has wheels that make rolling it around really smooth and easy. There are a number of scenarios where you might need to grab something quickly from your bag. Some pieces of luggage make that much easier than others. You don’t want luggage that is too heavy to carry around. A piece of luggage that has great capacity but doesn’t take up too much space and isn’t too heavy is ideal. If you are traveling for business, chances are that you have some nice clothes in your carry on. Certain pieces of luggage can do a good job of preventing wrinkles and creases in your clothes. 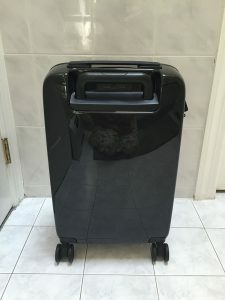 If you can find the right luggage for this, then you can avoid the hassle of having to iron your clothes once you get to your destination. With the introduction of smart luggage, we are seeing some really cool new features. Things like digital scales, GPS tracking, UBS charging, etc., are all neat add-ons that some people may really like. The Raden A22 Carry is a top choice for us and features some really cool tech features that make this piece of luggage a really great value. This piece of luggage is a great option overall. It gets the job done and doesn’t cost you an arm and a leg in the process. Style: Don’t be surprised if you get compliments on your luggage when you walk around this thing. It’s quite stylish! As one of the highest rated carry on’s you can purchase on Amazon, it’s safe to say that the Rockland Melbourne is a great piece of luggage. Rockland is known for making very durable products and that is especially so when it comes to luggage. Extremely Lightweight: In its description on Amazon, its weight says 6.5 lbs. In our review, we measured 7.5 lbs. It is very possible that they updated the design/weight of the Melbourne after we reviewed it. Refined Style: It isn’t too flashy, which some people may like. Its dark colors also mean that if it gets thrown around and beat it, it won’t show wear as easily. Durable: Even though it’s made of plastic, this carry on is very durable and can take a beating on a lot of different surfaces. However, it is not scratch resistant. Not Expensive: A lot of really good carry on luggage is also really expensive. Because the Rockland Melbourne is plastic, they can keep the price low. Samsonite has done a lot to improve upon its past carry on luggage with the Omni PC. In my opinion, this is their best piece of luggage — period. There are a ton of features built into it. The Lightest: This luggage might be the lightest carry on in existence. Empty, it is 5.8 lbs. How is this possible? It’s made from polycarbonate. Durable: Because of its polycarbonate construction, the Omni PC is also very durable. The material on the outside of the luggage is also scratch resistant. Rollable: It has 360 spinner wheels that make it very simple to roll around on any surface. Secure: One huge plus is the inclusion of TSA locks to ensure that someone can’t just break into your bag when you’re not looking. 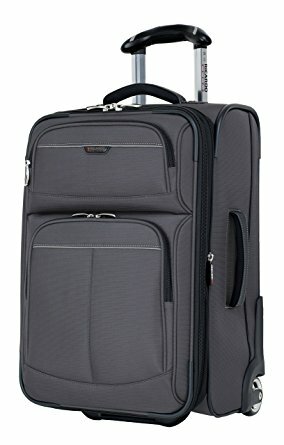 Not many people are familiar with the Genius brand but if you’re looking for the best carry on luggage, you should be. This carry on really surprised me in its looks and functionality. Spacious: This might be the carry on with the most room for packing. It is the maximum size possible while meeting international and domestic requirements. Organization: There are tons of places to pack things away in this piece of luggage. In fact, it was pretty surprising to see just how thought out the pockets and sleeves locations are. They even include a packing checklist built inside it. How thoughtful is that? Secure: There is a zipper lock built into the luggage shell. This ensures no one can easily break into your stuff when you aren’t looking. Durable: Not only is this luggage scratch and stain resistant, it also has impact-resistant corners. It’s made from polycarbonate, so it will hold up well if it’s beat up a little. If you don’t want a hardshell carry on or you happen to just prefer soft luggage, the Samsonite Aspire Xlite is the best choice you can make. Don’t let its cheap price fool you, it pack a lot and take take a beating. 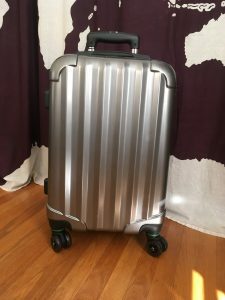 It’s Light: When compared to hardshell carry on luggage, the Samsonite Aspire Xlite isn’t the lightest but when compared to other soft luggage it is very light (coming in at 7.6 lbs). Durable: What many people like about soft luggage is the fact that it isn’t going to crack or break if you hit it against the floor or a wall (like a hardshell case would). This carry on is made from polyester so while it isn’t stain proof, it will definitely take some wear and tear without going down. Expandable: Luggage made from fabric means it will slightly expand. This makes it perfect for people who want to fit in just a few more items when packing. Robust Zippers: Just looking at the pictures of this carry on you can tell that the zippers are tough. This means less worrying about zippers breaking and all your clothes falling out mid-traveling. Yikes! Delsey Paris is known for making some of the best luggage out there for travelers so it’s no surprise that their Helium Aero is a winner. Not only does it have a lot of features and organize well but it’s a great price. Durable: It’s made from polycarbonte, which means its going to hold up in any situation — from being thrown into an overhead bin or chucked into a taxi trunk. Well-Made Handle: The first thing to break on most luggage is the handle. This is because the handle gets the most use, being popped up and down during traveling. The Delsey Helium Aero’s handle is strong and very resistant to breaking. The handle is also one of the most comfortable that I’ve felt. Simple Lock: Security is important in luggage, regardless of whether its a carry or or checked bag. 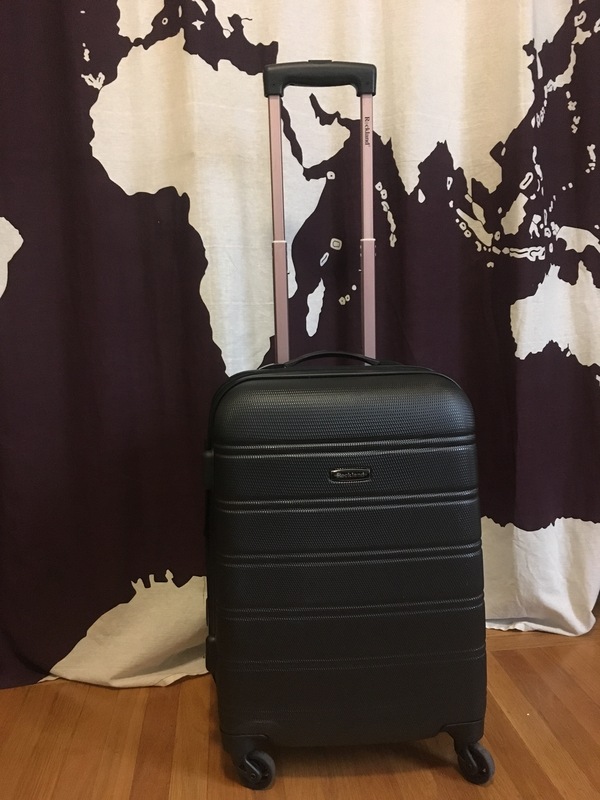 This Delsey carry on has a simple 3-dial TSA accepted combination lock that allows your luggage to remain secure while you’re traveling but quickly able to be opened for any TSA check. Stylish: The lines on this carry on luggage give it a unique but fun look. Organizable: There are a lot of different compartments and sleeves in this bag, making it easier to pack. 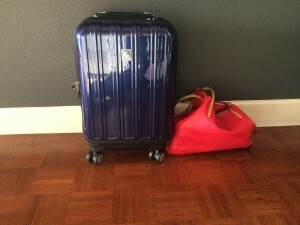 Last but certainly not least is the Ricardo Beverly Hills Mar Vista carry on luggage. Many travel enthusiasts may not be familiar with this brand because it doesn’t have the global presence that big brands like Samsonite or Delsey have. That doesn’t mean it isn’t an amazing carry on! 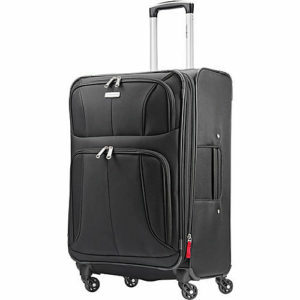 Very Durable: It is made from Terylene Polyester, making it the strongest fabric luggage that one can buy. All of its sides are reinforced and lined so even if it does hit a bump, you don’t risk it breaking. Expandable: The biggest gripe most packers have when traveling is that their luggage won’t expand a little more to fit extra clothes or accessories. The Ricardo Beverly Hills Mar Vista does though! There is an external zipper that allows it to expand about an inch or two more in width. Great Warranty: This bag comes with a whopping 10 year warranty. That’s one of the best I’ve ever seen. Outer Pockets: One of the great things about soft luggage is that there are pockets on the outside. This carry on has some of the best we’ve seen. They are big, the zippers are strong, and you can fit a lot in them because they expand.